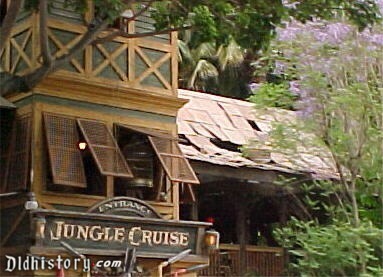 If you're any kind of Disneyland fan, then you know the glory of the Jungle Cruise ride and you've eaten more Dole Whips than you can count. But even some of the most avid park-goers skip key experiences during their visits. The following rides, secret spots and shows often go under-appreciated in favor of bigger, sparklier Disneyland attractions. Seek out these little-known gems the next time you visit, and prepare for some real magic. 1. Breakfast with the characters. The only thing worth an early wake-up call is warm French toast with Minnie Mouse, enjoyed in one of Disneyland's most opulent landmarks. After more than 30 years tucked away in Fantasyland, it's a wonder this thing is still in operation. Peek into Pinocchio's Daring Journey and re-live his tale from the famous 1940 film. 3. The secret Splash Mountain path. Take a walk near the Haunted Mansion ride to this hidden viewing spot where you can watch riders freak out after completing the Splash Mountain drop. 4. The hidden background noises. Between chomping on turkey legs and grasping Fast Passes, take some time to slow down and listen to Disneyland's incredible ambient music. Main Street, in particular, has some hard-to-hear sound effects worth a second listen. 5. A fluffy beignet at the Mint Julep Bar. One of our favorite Disney snacks is a good ol' fashioned powdered donut from the nostalgic Mint Julep Bar in New Orleans Square. Grab a bench, take a seat, and watch the world go by. 6. A nighttime show in the Enchanted Tiki Room. Sure, you've tasted the aforementioned Dole Whip at the Tiki. But you haven't truly fulfilled Walt's vision for the park until you've clapped along with his singing animatronic birds in their nightly performance. 7. Mickey and Minnie's houses. Ever wondered what's in a mouse's house? Hint: Everything is larger than life. You can walk right up to the front door in Toon Town. Have a great visit!